A smart plug is a great (and inexpensive) addition for folks taking their first steps into connected home tech. Today you can get one for $20. A smart plug can add smart control and connectivity to a normal wall outlet, and today there are two options on sale to beef up (or begin!) your smart home. The Wemo Mini Smart Plug is $25 today, down $10 from a list price of $35, and TP-Link’s Kasa Smart Plug is at a low of $19.27, down from a list price of $30. 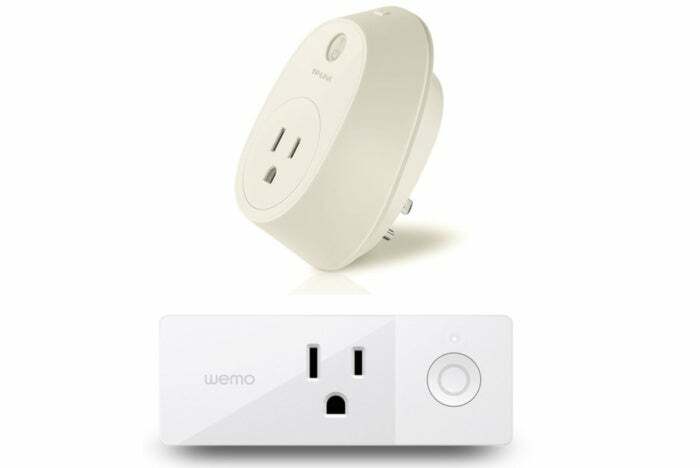 The Wemo mini smart plug connects to Wi-Fi to give you control over lights, appliances, and more, even if they’re not smart themselves. In fact, this smart plug doesn’t even need a hub. We loved this WeMo model, and gave it 4 stars. Using the Wemo mobile app, you can turn your devices off and on, and set schedules from anywhere. Plus, thanks to a new design, you can use two of these plugs in the same outlet—helpful if you have multiple devices to plug in. With 3.9 stars out of 5 over more than 10,000 user reviews on Amazon, it appears many real-world owners agree with our assessment. The Kasa smart plug from TP-Link offers many of the same features as WeMo’s offering. Once connected via Wi-Fi, this plug allows you to control and schedule through its app. Another nice app feature is the ability to track real-time and historical energy use so you can minimize energy usage. To tap into these smarts, no hub is necessary here either, but unfortunately this plug will occupy both positions in a single wall outlet (one of the reasons we gave it just 2.5 stars). Nonetheless, with 4.1 stars out of 5 over more than 3,000 user reviews on Amazon, this plug seems to be a hit.